2017 Third Prize Ottawa Art Association. 2016 A Honorary Diploma by Berliner Art Prize in recognition of her endeavor in the fine Arts . 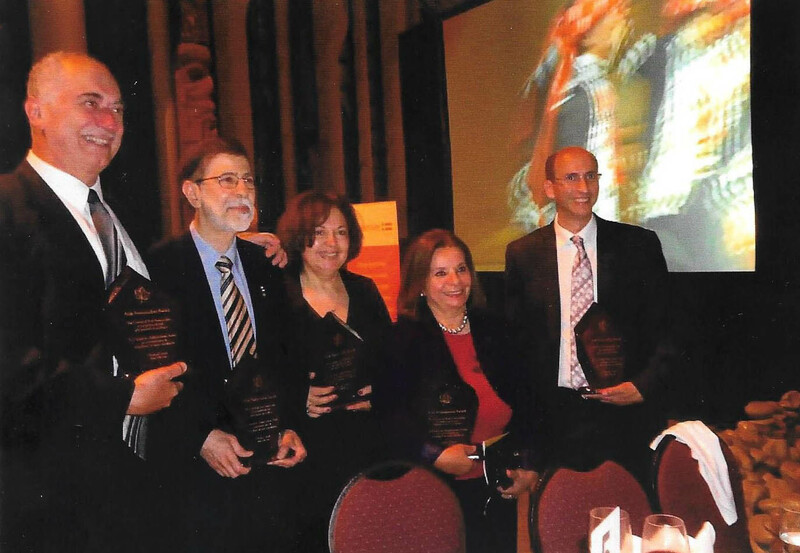 2016 A Trophy given in Ottawa by the council of Arab league Ambassadors for outstanding achievements in Arts. 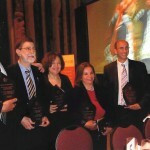 2013 A Trophy given at the Museum of Civilizations by The Arab council of Canada to honor Canadians of Arab descent with outstanding achievements. 2013 Third Prize. Ottawa Art Association. 2012 Third Prize. Ottawa Art Association. 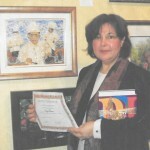 2010 First Prize. Ottawa Art Association. 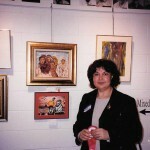 2008 Best in Show Artist. Ottawa Mixed Media Association. 2008 Honorable Mention. Ottawa Art Association. 2007 First Prize. Ottawa Art Association. 2005 Honorable Mention Frances Moyle. Vieux St. Eustache. 2004 Honorable Mention. 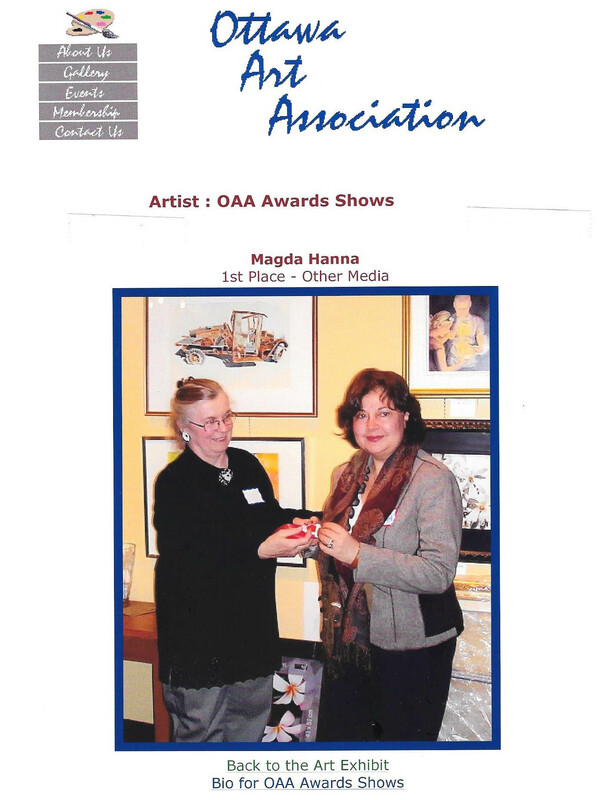 Exhibition / Competition during the 85th anniversary of the Ottawa Art Association. National Gallery of Canada. 2003 Second Prize. Competition ‘comme Unique Art’ Vieux St. Eustache. 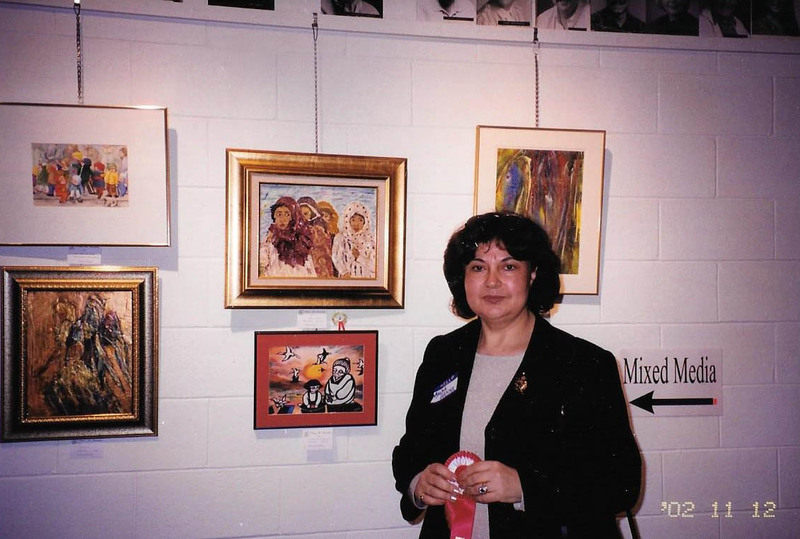 2002 First Prize. Ottawa Art Association (Spring). 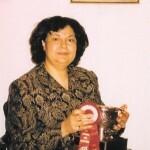 2002 First Prize . Ottawa Art Association (Fall). 2002 Award of Excellence. L’Art dans l’Outaouais. 1997 Third Prize. L’Art dans l’Outaouais. 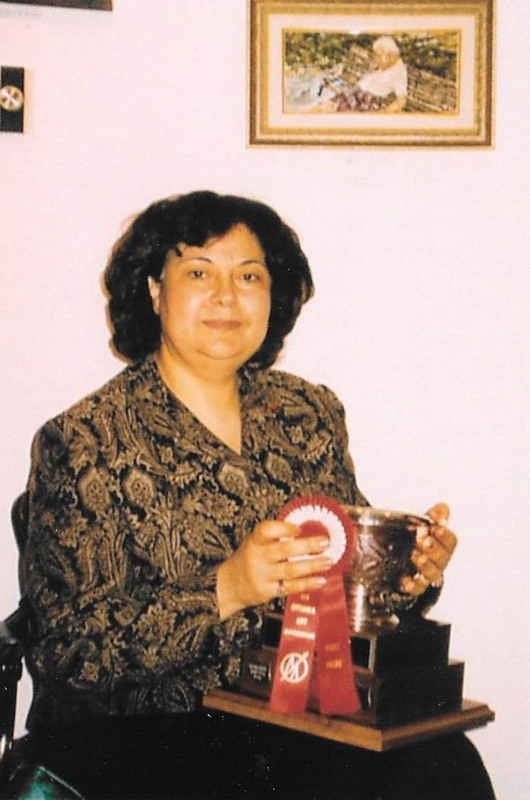 1995 First Prize. Aylmer Art Council. 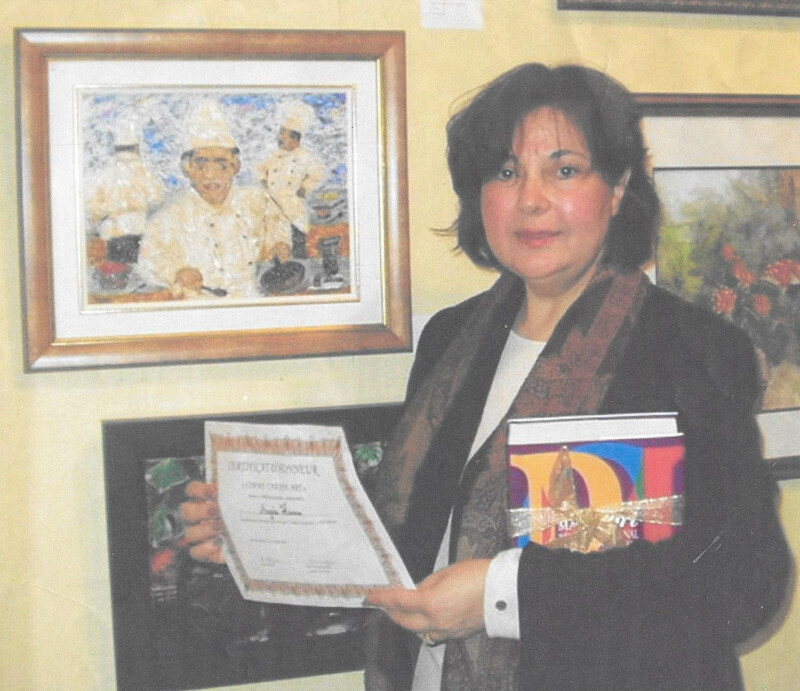 2014 Four of her artworks are published in the International Contemporary artists book volume VIII. 2011 Commissioned to do a portrait of Dalai Lama. 1996 Two of Magda’s works are in the Museum of Civilisations. Copyright 2015 © Magda Hanna Florartiste. Tous Droits Réservés. 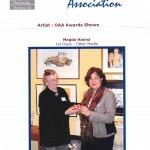 Toutes les images et documents ci-inclus, sont l'unique propriété de Magda Hanna. 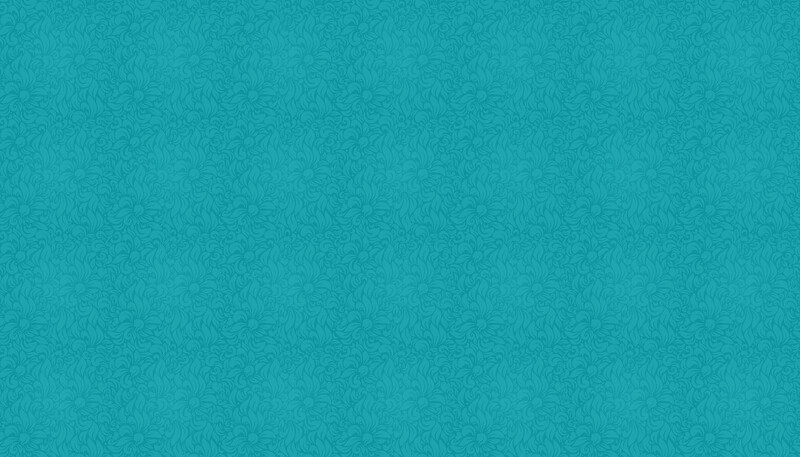 Copier, sauvegarder, manipuler, télécharger ou changer sont strictement interdits.